There will be no cram sessions as an entire 8th grade. Any and all interventions/reviews, etc... will be held during the class period with only our 2 science teachers. This has been a game changer. More than ever, I decided that I must make the reviews that I do with my students, thorough and TEKS centered. 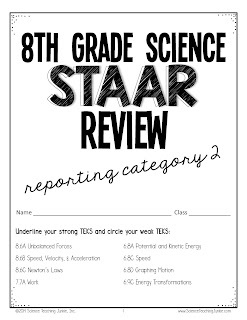 I have to make sure that all of the 6th and 7th grade Supporting Standards are reviewed in addition to the 8th grade Readiness and Supporting Standards. No pressure, right?!?!? Just in case you are thinking about purchasing all 4, go ahead and purchase the bundle at a reduced price and save some cash! Used this to review for the 2016 STAAR test and I ended up being one of the top 10 in my district for student growth. 84% of my 121 students in an innercity school in Houston passed. 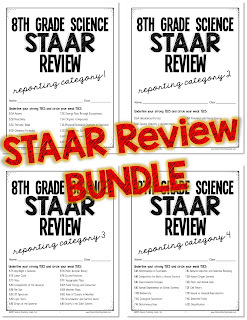 Great review of EVERYTHING that could possibly be on the STAAR! Well worth it! Thank you! 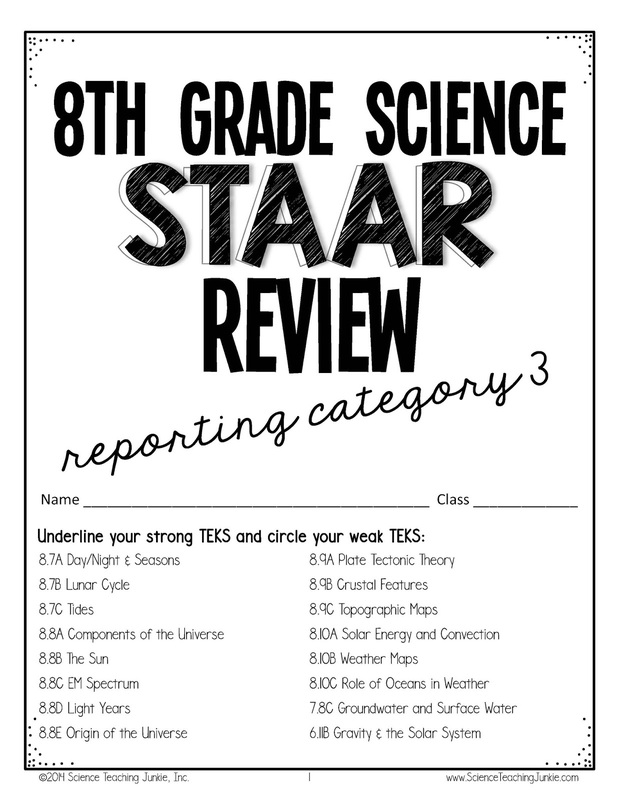 This is one of the best STAAR review products I've seen. It is thorough enough to review, but concise enough to work through during the time before the test. I've gone back and bought the other 3 reviews. Just wish I had purchased them as a bundle, now. :) I am now officially addicted to Teaching Science Junkies products. and this is the answer to my prayers! My kids LOVE IT, also. Great review tool! Got a couple. Went back and got the rest. All the review I need in one place. And I didn't have to spend hours doing it myself. Thanks!